identifying any issues with your proposal so that they can be resolved and subsequently a DA may be better supported. The benefit of discussing your proposal with a DAS officer is the lodgement of an ‘assessment ready’ DA. This ensures the development assessment officer can focus on assessing and determining the application, rather than requesting additional information or clarification regarding the development, at the assessment stage. Therefore, before making any changes to your property, large or small, it is recommended you contact Council to discuss your proposal. This is a free service, and DAS officers are available between the hours of 8:30am and 4:30pm Monday to Friday, and a duty planner is available between the hours of 9am and 1pm Saturdays, at both the Eastgardens and Rockdale Customer Service Centres. Another resource available to assist in explaining the DA process as well as the next steps to get you building (released by the Department of Planning and Environment in May 2018), is ‘Your guide to the Development Application process’ for small housing development. those wishing to learn more about the DA and assessment process. Development generally falls into one of three categories; exempt development; complying development; or development requiring consent. Exempt or complying development does not require approval by Council, as environmental / amenity impacts are minimal or predictable, and development complies with pre-set standards and (if required) conditions. The State Environmental Planning Policy (Exempt and Complying Development Codes) 2008, contains a set of standards you must comply with for exempt or complying development works. Development requiring consent requires a DA to be lodged and approved by Council before commencing works. A DA is a formal request for permission to carry out various types of development on a site, as it could potentially cause environmental / amenity impact, and therefore requires a merit assessment prior to determination of the proposal. What type of works are potentially exempt development? home businesses (excluding manufacture of food products or skin penetration procedures). What type of works to heritage properties are potentially exempt development? If you plan to do some building works to a listed heritage building, you are generally required to lodge a DA. However, you may be exempt from the need for DA consent for certain works of a minor nature. Minor works generally include repairs and maintenance of heritage buildings, painting of a residential building in a colour scheme devised by Council's Heritage Advisor, or replacement of building elements on a 'like for like' basis. You must check with Council to determine whether the works you intend to do could be considered as 'minor' prior to commencing the work. Further information regarding potential heritage properties exemption can be found here. What type of works are potentially complying development? changes of certain business, commercial and industrial uses. Rockdale Local Environmental Plan 2011. Council encourages consultation between neighbours in relation to exempt or complying developments. 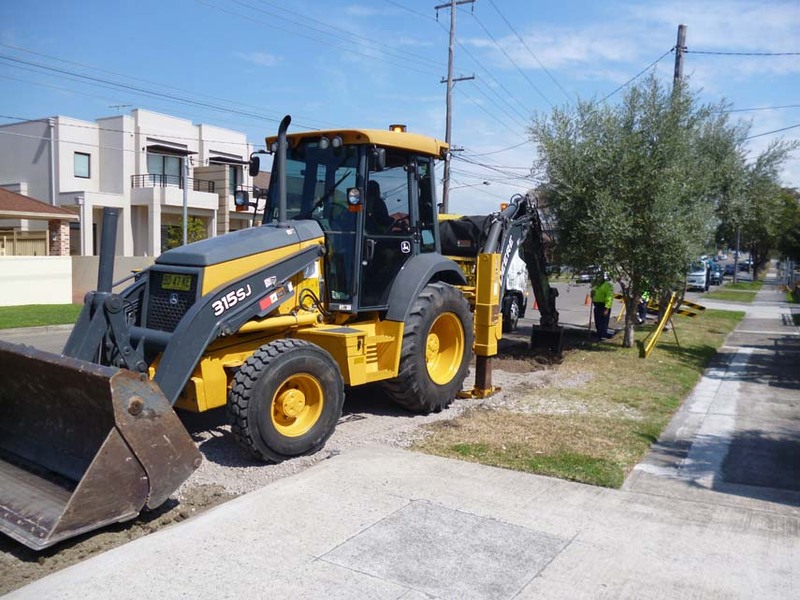 Additionally, the State Environmental Planning Policy (Exempt and Complying Development Codes) 2008 has mandatory notification requirements if you use the complying development system to carry our works on your property in residential zones. What is required for complying development? A Planning Certificate (issued under Section 10.7 of the Environmental Planning and Assessment Act) provides formal advice on land zoning and planning controls applicable to your site. This Certificate is required as part of your submission requirements as it confirms if you are eligible to undertake your works as Complying Development. Complying development requires a Complying Development Certificate (CDC), which may be obtained from Council (CDC Application, Appointment of Council as PCA and Contract for Certification Work) or an Accredited Certifier. [Note that when a CDC is being considered or issued by a Private Certifier, Council cannot become involved in the determination or outcome of the CDC.] A Complying Development application requires inclusion of detailed plans and specifications to be prepared (eg by an architect and/or professional engineer), and must satisfy all the criteria, requirements and standards relating to the proposed development. Council certifiers are qualified Building Surveyors with first-hand knowledge of the Bayside area, and are available to provide advice and fee quotes for preparing CDCs. The Bayside certifiers team can be contacted on 1300 581 299 or council@bayside.nsw.gov.au. is shown as excluded on the Botany Bay Exempt Development Land Map or the Botany Bay Complying development Land Map (NSW State Environmental Planning Policy (Exempt and Complying Development Codes) 2008). Should you wish to discuss any constraints to development on your property, please visit the DAS counter at either of the Rockdale or Eastgardens Customer Service Centres, and we can assist you in obtaining preliminary identification of any constraints which may potentially exclude your proposal from being undertaken as either exempt or complying development. Development that is not exempt or complying development requires a DA to be lodged and approved by Council. Detail regarding what is required to lodge a DA can be found in Lodging a Development Application. It is recommended you discuss these requirements with a DAS Officer prior to lodgement, or consider whether a formal Pre-Development Application meeting would be beneficial. Council offers formal Pre-Development Application (Pre-DA) services for large or complex proposals, or proposals which are contentious in nature. Use of the Pre-DA service is highly recommended for all prospective applicants for dual occupancies, multi-residential, mixed use development and major commercial or industrial development. Mandatory Pre-DA meetings are required for significant or larger scale development. A fee is charged for this service, based on the value of the development. If you are unsure whether your proposal needs a formal Pre-DA meeting, it is advised that you first discuss your proposal with a DAS Officer, who may be able to answer your query over the counter. Subsequently, a fee quote can be obtained at any time from a DAS Officer, subject to the provision of the estimated cost of works. The formal Pre-DA service aims to provide a comprehensive understanding of planning and development matters as they relate to a particular site. Experience shows that Pre-DA meetings for larger proposals save applicants time and money by improving their understanding of the process and identifying and resolving issues early on. Applications for Pre-DA services need to be accompanied by a completed Pre-Development Application Advice form, including electronic submission of the necessary information and documentation as contained within the checklist and payment of the required fee. Once a Pre-DA request is lodged, Council will advise of the date and time of the meeting. A Pre-DA meeting is generally held within two weeks of the lodgement of the application. Following the meeting, Council will provide formal correspondence, including a summary of the planning advice, comments and particular planning matters discussed at the meeting. Council will outline any issues that will need to be considered prior to the subsequent lodgement of the DA, including any design changes that would be required to improve the permissibility or quality of the proposal.